Occupy Wall Street: Nipping "Dissent" in the Bud? 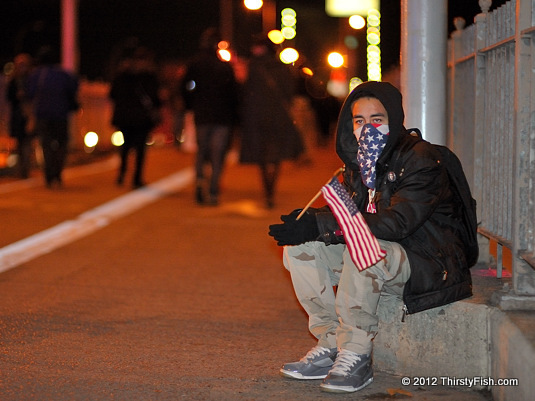 This photograph was taken on Brooklyn Bridge during the #N17 Global Day of Action. One of the last remaining Occupy encampments, Occupy DC was cleared out last Saturday. The police response to the protesters has increasingly become disproportionate, often crossing the brutality line. Images of unarmed students and grandmothers being pepper-sprayed in the face, indiscriminate use of tear gas and flash-bang grenades, and unnecessary use of force have gone viral on the Internet. 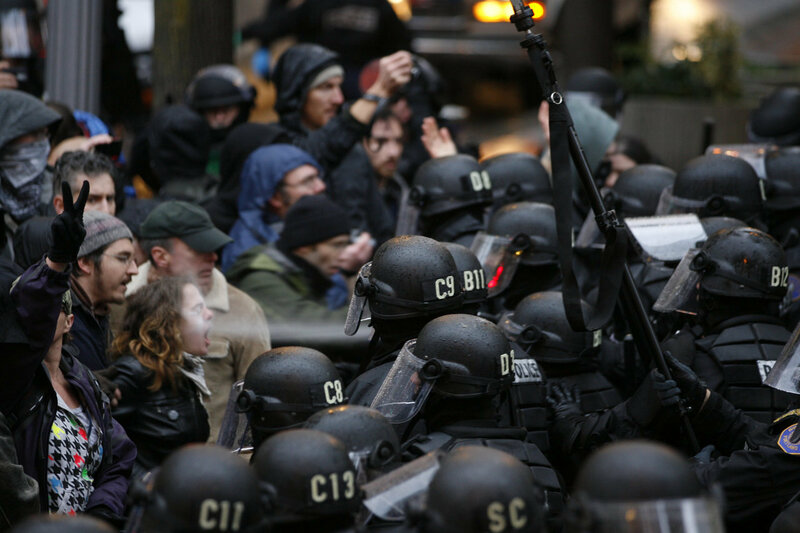 Reports of police using kettling tactics to maximize the numbers arrested, and of media blackouts and trageting of journalists covering the Occupy events are troubling. So why is there such a disproportionate police response to few handfuls of nonviolent protestors? The idea is to strangle the movement at birth, to nip it in the bud. This, to a degree, is working. Some people I know that are sympathetic to the movement do not attend the assemblies with the fear of getting arrested. But, Occupy has already planted the seeds of change; they have altered the policy conversation in Washington and raised awareness about main street being strangled at birth. Far from being nipped, Occupy is planning the next stage of their struggle, Occupy 2.0. They say, "if it ain't broke, don't fix it". Many fail to understand how "broke" things are. Many do not understand that they themselves are also merely a few steps away from being "broke". Even if the Occupy Movement is suppressed and tyrannized, unless the corporate stranglehold on the economy and on politicians is relaxed, the seeds planted by the Occupy Movement will bloom into full blown dissent. Vaclav Havel, a playwright, essayist, dissident and the former President of the Czech Republic, wrote: "You do not become a dissident just because you decide one day to take up this most unusual career. You are thrown into it by your personal sense of responsibility, combined with a complex set of external circumstances". Vaclav Havel, the architect of Czechoslovakia's Velvet Revolution, passed away this past December.